Are you one of those people that prefers to “stay in” for Valentine’s Day? If so, you’re gonna love this! 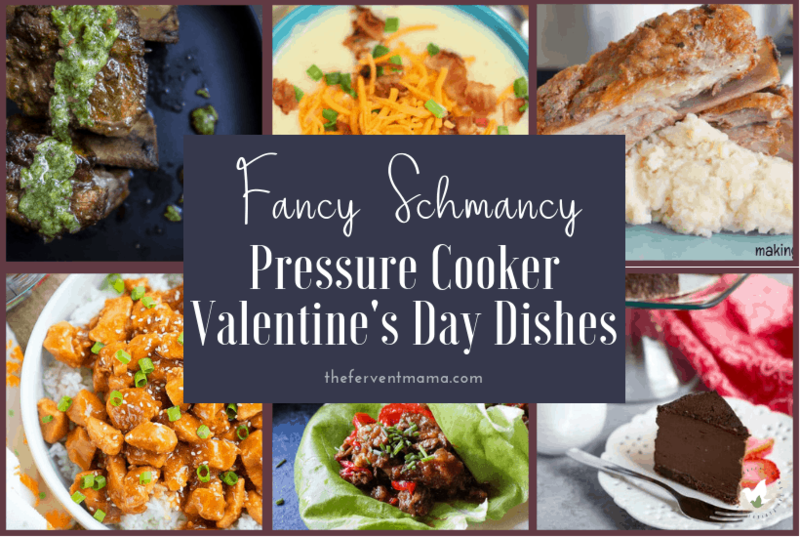 And if not, these Instant Pot Valentine’s Day Dinner Ideas may sway you in a different direction! Full disclosure, we’re some of those people, but not always by choice. Sometimes, it’s just the lack of babysitter that keeps us here. I know we’re not the only ones, right? I mean, really. We haven’t had a date night in almost 3 years! Send.Help. There are those times where we get in the kitchen together and cook a fancy dinner, but then there are also those times where we’ve been working and chasing kids all day and just don’t have the energy, or the will, to spend hours in the kitchen. We just want to send the kids to bed, throw something together pretty quickly- without sacrificing yum-and binge watch some Netflix while we chill in our jammies. Call us old fogies I guess. But, my Instant Pot has saved me so many times. And instead of spending all day in the kitchen on Valentine’s Day, I can throw something in that magic pot and end up with flavor that is out of this world! These Instant Pot Valentine’s Day Dinner ideas will have you staying in this Valentine’s Day! And honestly, my main squeeze prefers it that way. He’d rather a home cooked meal before eating out any day. But there’s also the perk of not having kitchen duty either way. I mean, I’d rather that too. But then there’s the money saving option of staying in too, and now you’re talking my language! This warm and cozy Olive Garden copycat can be made with love in only 30 minutes! This embarrassingly easy risotto is topped with butternut squash, roasted mushrooms, and brussels sprouts, and is oh so good! Serve it over your favorite dessert, with ice cream, or use as a dip with your favorite fruit! Any way you serve it, this caramel is a treat and is sooo much better than store bought. Easy, healthy and packed with flavor, this brisket is low-carb, keto-friendly and only uses 3 ingredients! You’ll be begging for seconds of this deliciously creamy, lemon garlic chicken! If you’re following our list of Instant Pot Valentine’s Day Dinner Ideas and love your pressure cooker too, you should joing our mailing list to stay up to date on our magic pot posts! This crustless quiche is low carb, gluten-free and tastes amazing! Why not surprise your family with it? This is comfort food in a pot. Delicious, easy to make and hard to mess up! Rich and creamy and oh so yummy! This has the flavor of the loaded baked potatoes that you love. This crowd-pleasing soup is flavorful, colorful, and can be on the table in 15 minutes! This scrumptious sauce just might become your “go to” sauce! It’s quick, yummy, and won’t break your budget. These wraps are perfection – packed with flavor in every bite! This sweet and sticky sauce served with tender, juicy chicken over rice, is the perfect low-carb, protein-packed meal! Rich and elegant, this stunning dessert is everything! Light and creamy custard with a luscious caramelized top, it is the perfect after dinner treat. Served with homemade chimichurri, these ribs are fall-off-the-bone, melt-in-your-mouth good! What would Valentine’s Day be without chocolate? This cheesecake is delectable! Add a little class and sass to your dinner with these delicious, impressive lobster tails! This luscious cheesecake is just begging to be part of your Valentine’s day celebration! Just look at it – it’s a perfect fit! Spicy, savory and oh so flavorful! It’s paleo, low-carb, gluten-free and drool-worthy! 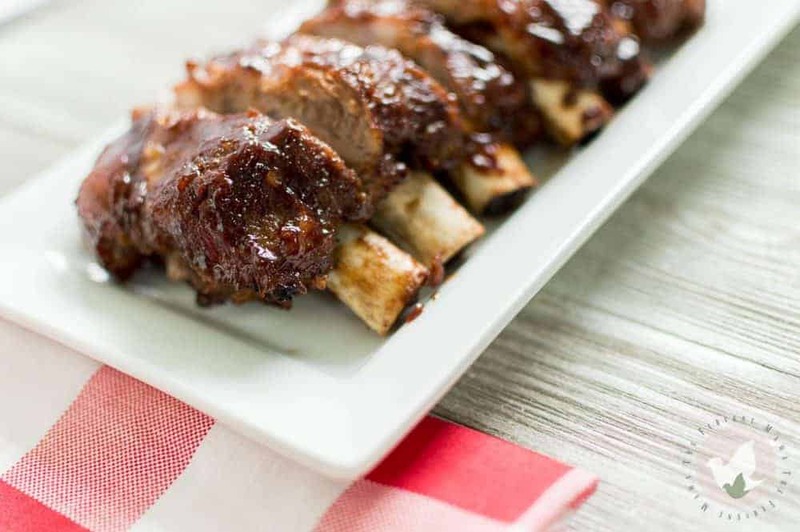 Practically melting right off the bone – these saucy scrumdidelioptious ribs won’t disappoint! Decadently delicious and just perfect for a romantic treat for just the two of you! 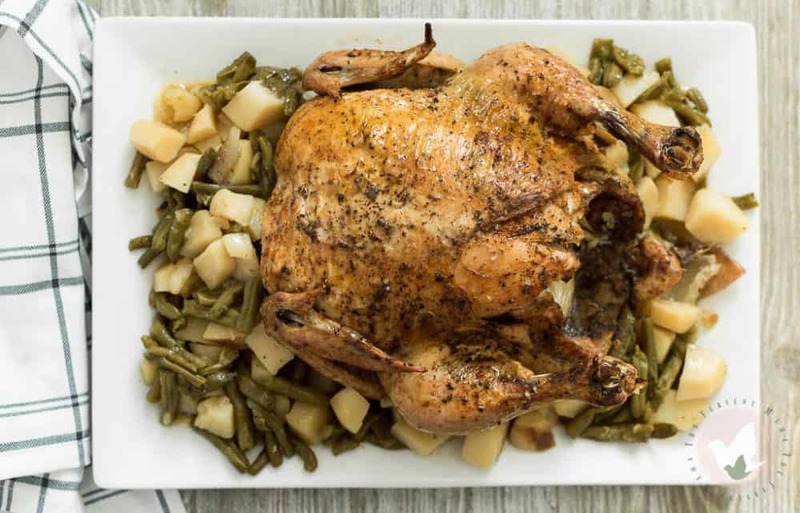 This creamy chicken is the bomb-diggity and just might become a favorite around your house. Your taste buds are in for a real treat with this perfect blend of sweet white chocolate and the tartness of the cranberries. You’re gonna love it! There are so many delicious options for you, and even if you use more than one pressure cooker (like me) it’s still minimal dishes AND cook time! What do you plan on cooking on the most loving day of the year? 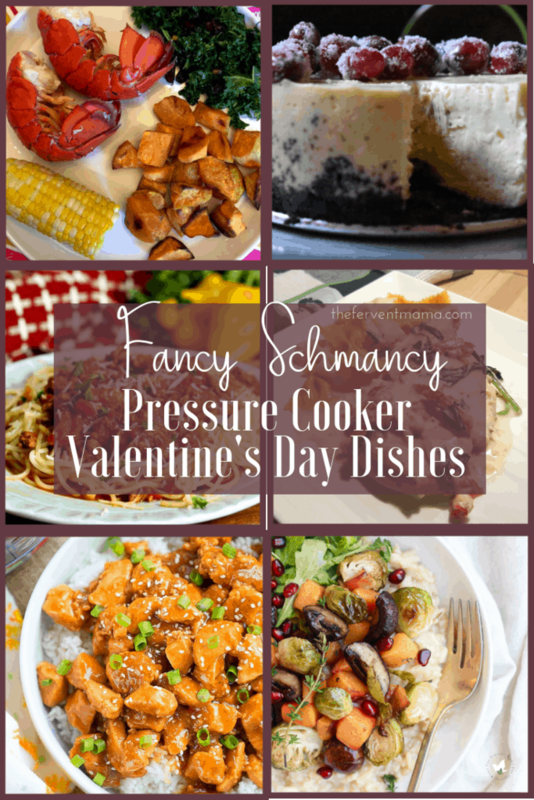 Any of these fancy schmancy Instant Pot Valentine’s Day Dinner Ideas? If you’re looking for more Pressure Cooker fun, then you’re welcome to join our Facebook Group Pressure Cooker Family Recipes! It’s a great place to learn, share, and gather ideas that all deal with your favorite cooking device!